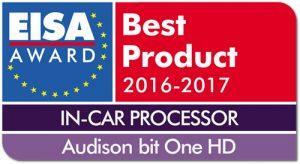 Thanks to the Analog Devices DSP (ADSP-21489), 32 bit floating-point Sharc series (450 MHz clock), bit One HD makes the most of Hi-Res audio files achieving studio master quality in your car. 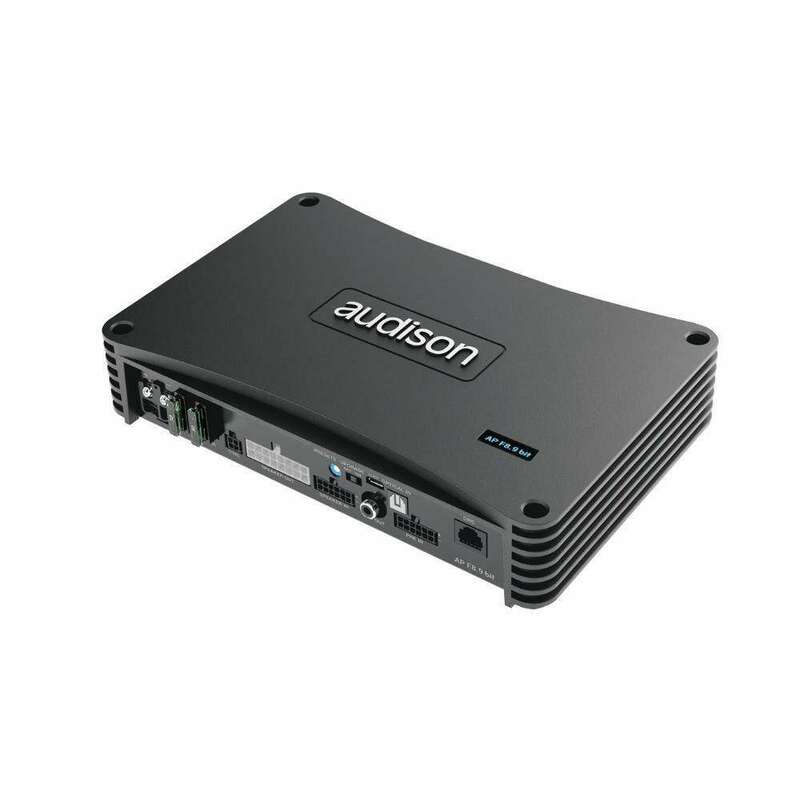 bit One HD is able to develop an Audison Full DA HD chain, providing pure digital signal tranfer: the digital audio signal comes through one of the two optical digital inputs (TOSLINK up to 24 bit/192 kHz), is processed by the DSP at 24 bit/96 kHz and is sent to Audison amplifiers through two AD link ports, preserving all the information of the Hi-Res audio file reproduced. A dedicated FIR firmware release enables the user to process up to 9 digital channels with crossover FIR filters. Through this type of sound processing, much more demanding in terms of calculation resources, a leading-edge in-car listening experience is achieved. Three equalizers based on two different types of digital filters (FIR and IIR) manage the frequency response: 5 poles input equalization (MASTER and AUX) FIR type, to flatten the curve based on the input selected; IIR 11 poles output equalizer, to adapt the frequency response in the car compartment; 5 poles main equalization, FIR type, to “shape” the sound of the entire system according to the user’s personal music preferences. 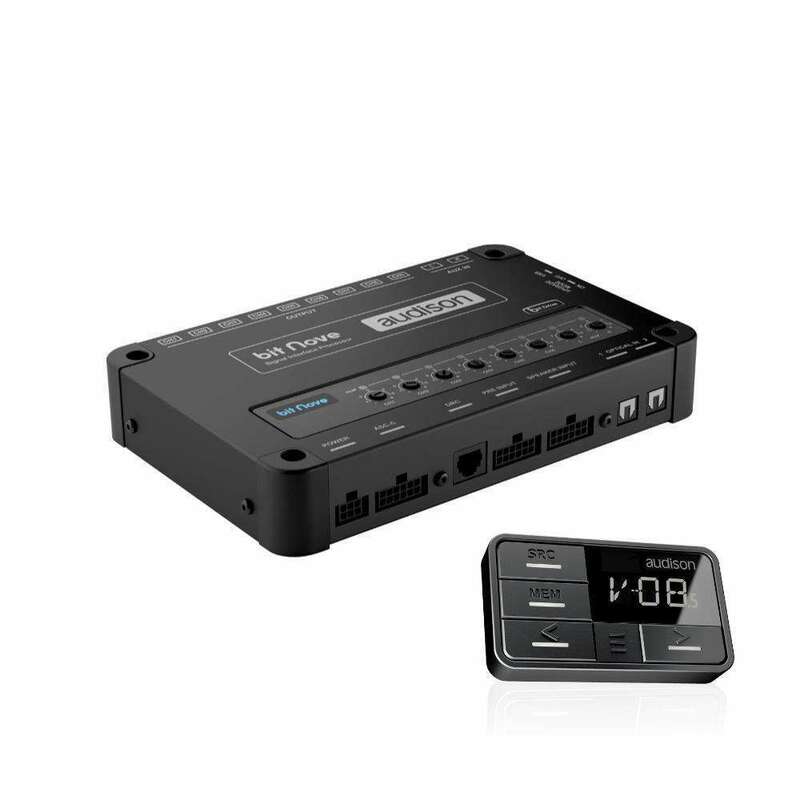 When bit One HD is connected to an OEM head unit, a guided configuration routine automatically synchronizes the input audio channels, which are often time-delayed from the OEM source or amplifier, prior to the signals summing. A De-equalization of the OEM system frequency response is then performed, featuring linear-phase FIR filters, to obtain an unparalleled reconstruction of the original signal without altering the phase response. The RVA (Remote Volume Aux) function allows the selection of an auxiliary source (like the Audison bit Play HD) and adjust its volume via the OEM Head Unit. The system setup is graphically managed and all the tuning features can be accessed intuitively, according to specific criteria required by the car audio industry. bit One HD features 8 memories for the pre-sets of the Windows-based (10, 8, 7 edition) PC software. Twelve input channels for four different signal typologies (amplified, pre-amplified and TOSLINK optical digital) and six different sources managed through DRC MP remote control (provided), making the bit One HD a unique interface suitable for any need. 13 analog and/or digital output channels ensure a wide expandability for any audio system configuration. Connecting the bit One HD to the Audison bit Tune through an automatic procedure, all the processor’s basic audio parameters can be optimized (time alignment, equalization and output levels) ensuring an excellent acoustic result. bit One AUDIO PROCESSORDespite its compact size, the bit One is equipped with a powerful 266 MHz / 32 bit floating point DSP microprocessor, working in real time on all the functions of the most complete systems. Managed and configured by a simple and intuitive computer software, it is possible to make adjustments to improve the signal through each phase of its path; from input to output. AP5.9 bitAP5.9 bit amplifier is ideal to realize a two way front full active plus subwoofer system using the fifth mono channel with 270 W @ 2. 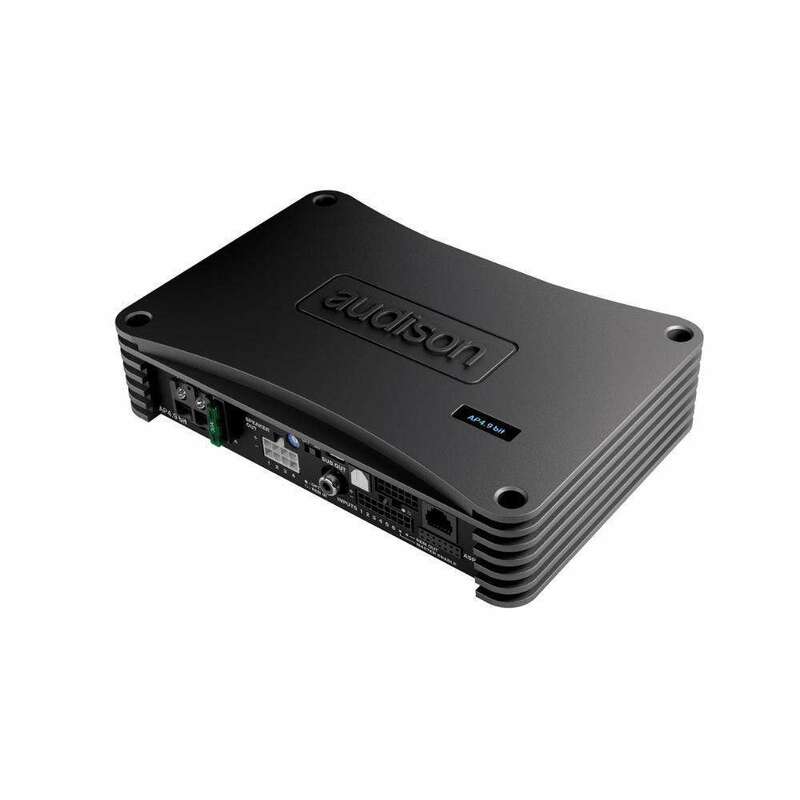 The built-in processor with 9 output channels, that this amplifier shares with the AP8.9 bit, provides the ability to assign the pre-outs to the AP4 D amplifier, creating a very powerful system in a small space thanks to the optional stacking system. 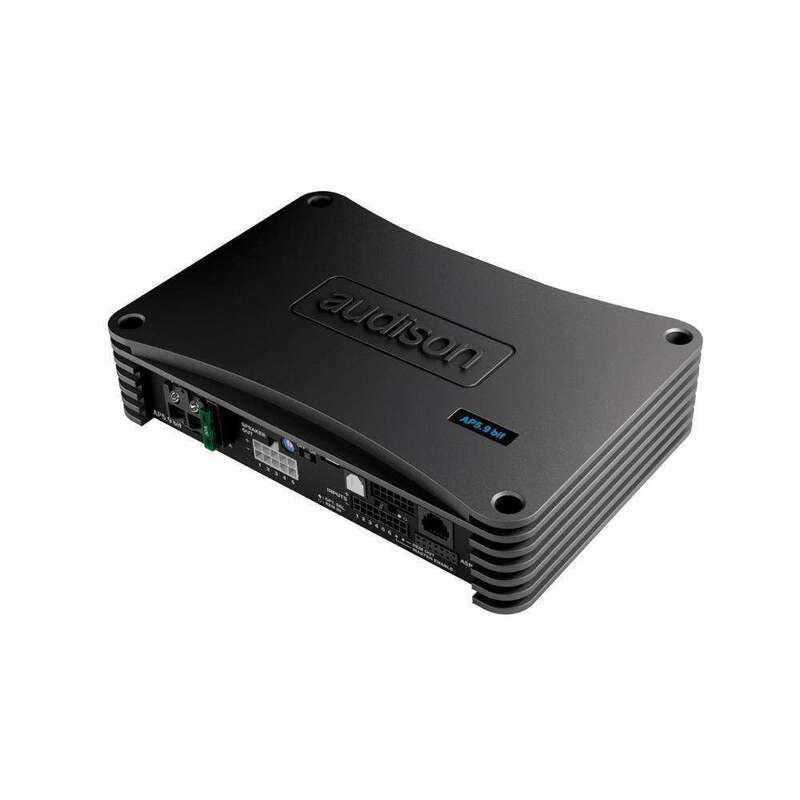 bit Nove THE NEW AUDISON BIT PROCESSORbit Nove is a powerhouse of technology fully dedicated to listening pleasure: since 2007, the year in which the bit One was first introduced, Audison has never stopped delivering innovation to the digital processors segment. The bit Nove was born from this unique know-how within the industry, the perfect tool to expand a car audio system maximizing its performance. 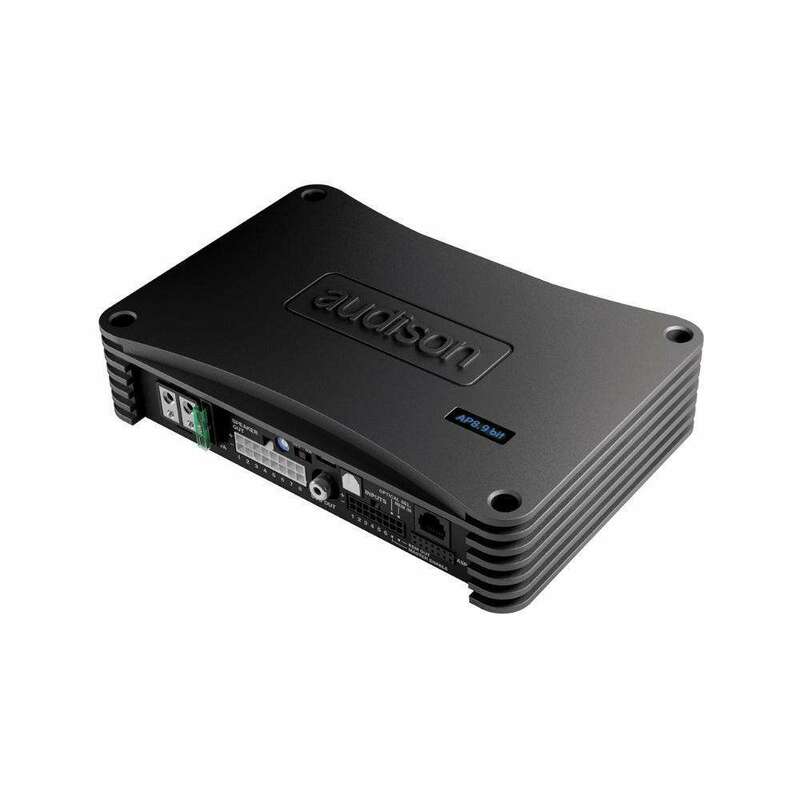 AP F8.9 bit 8 CH AMPLIFIER WITH 9 CH DSPThe new AP F8.9 bit is the ideal for the most demanding integration projects, where high power is required along with the flexibility of the nine-channel DSP. The word “Forza”, meaning “Power” in Italian, well describes the 8 x 85 W RMS and 4 x 260 in bridge mode (RMS @ 4Ω), with an optimal power to size ratio. The integrated processor is equipped with a dedicated software and 7 pre-configured presets for a Plug &amp; Sound experience.